If you have a question regarding the school, please call the main office at 773-534-8500, or email us. If you have questions for the Local School Council (LSC), visit their page, or send them an email. 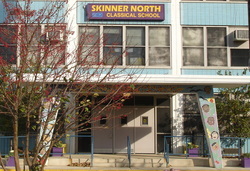 If you have a question for our Parent Teacher Organization--the Friends of Skinner North (FoSN)--please visit their website.